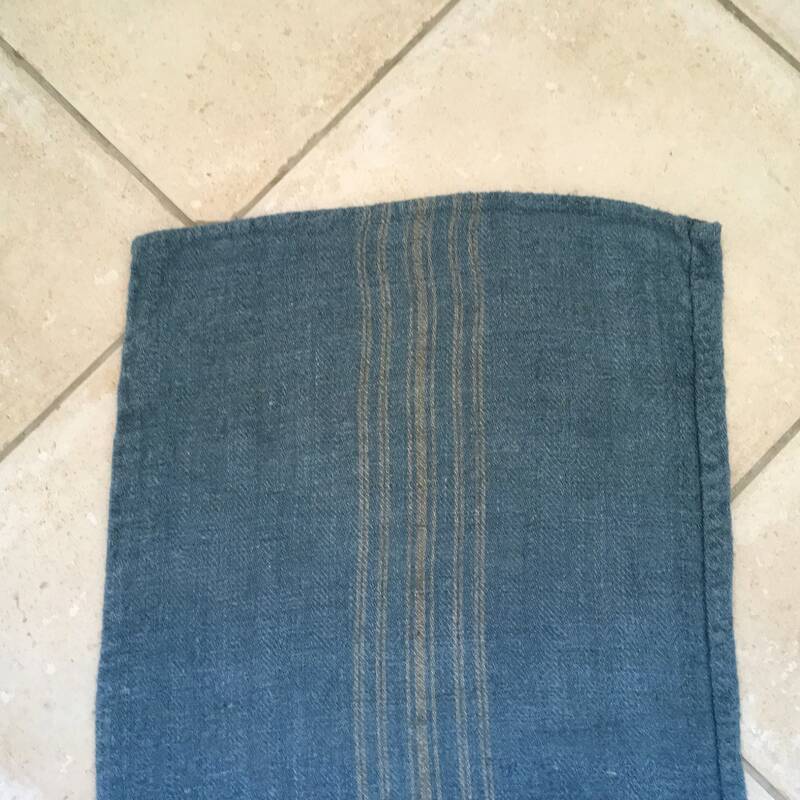 Grey blue (almost like a denim) hand-dyed grain sack for upholstery projects. The taupe colour wide central stripe is soft and perfectly compliments the soft blue-grey tones. 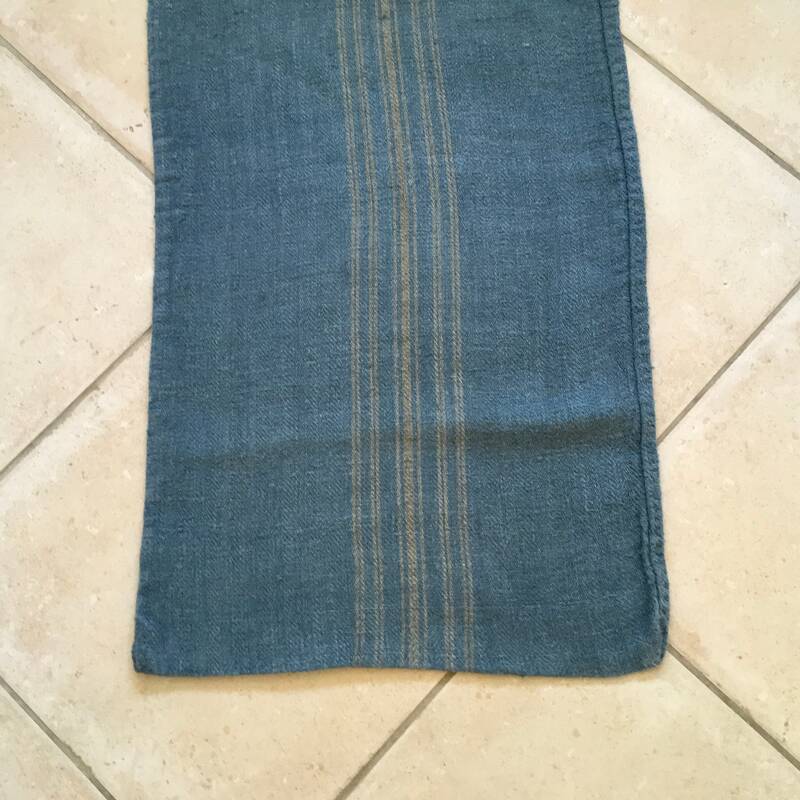 The stripe is only on the outside and doesn't show through on the inside. 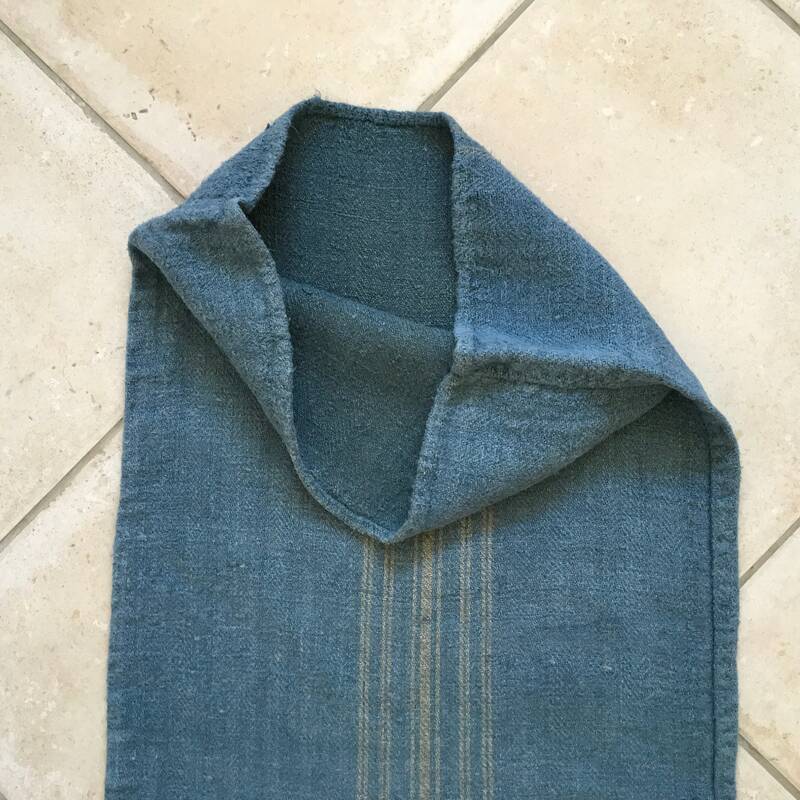 This vintage linen grain sack has been handspun and homespun pre 1940, it is very durable, with hand stitched seams, the fabric has a wonderful texture to touch. 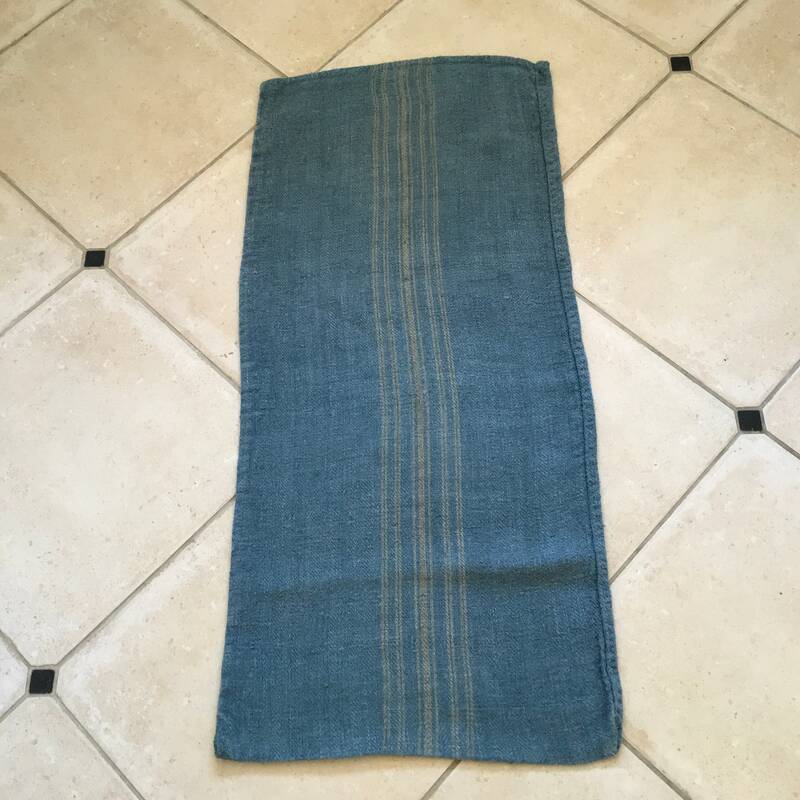 Lovely floppy mid-weight vintage Hungarian linen. Use this fabric for upholstery projects, laundry bag, cushions, handbags, lavender bags, bath mats and many other sewing projects. Side seams can be undone, to create a longer length of fabric. Washable and colour-fast colour (although wash alone to avoid bleed on to other items).